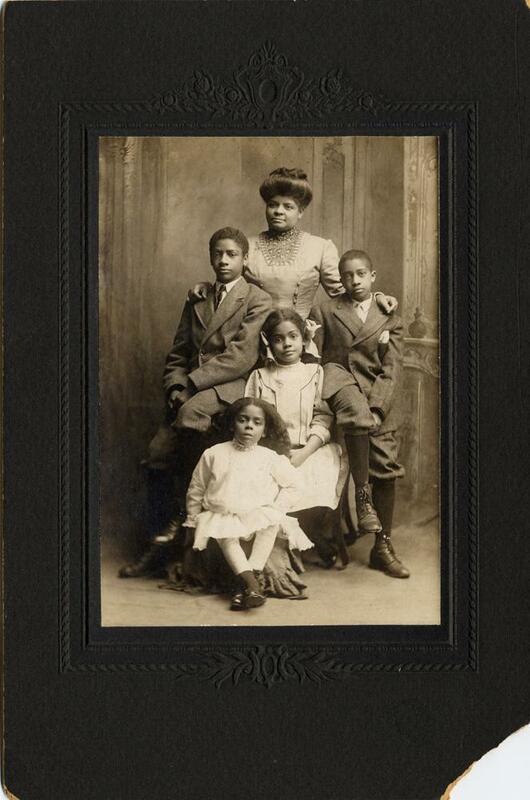 Description Children of Ida B. Wells-Barnett (standing), activist, journalist, teacher, and anti-lynching crusader, and lawyer Ferdinand Lee Barnett, publisher of The Conservator, the first African-American newspaper in Chicago. From left: Charles Aked; Ida B. Wells, Jr.; Alfreda Marguerita; and, Herman Kohlsaat.